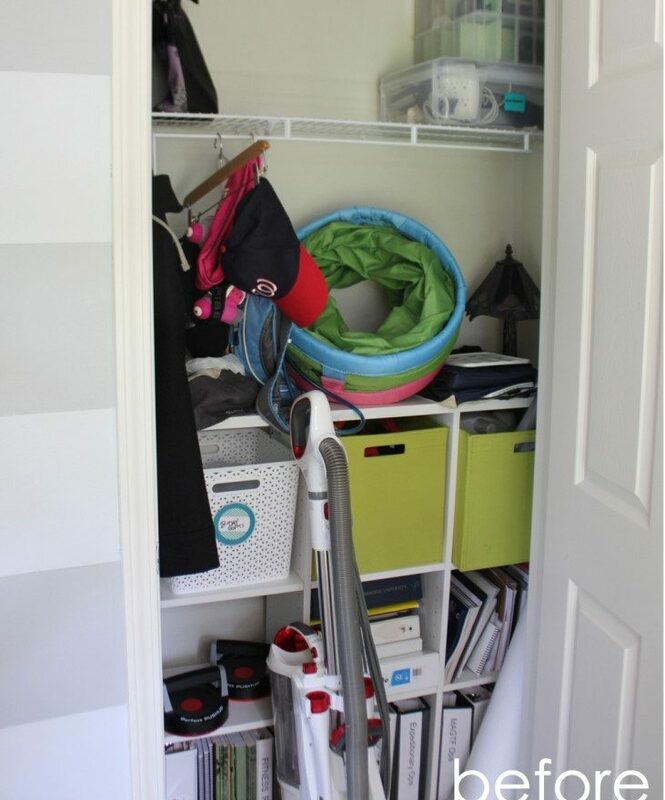 A Happy and Preppy Closet Makeover – @ ForRent.com! Little by little I have been working my way through the final few spaces of our home – making sure each space is fully purged, sorted, organized and given a good dose of personality and style! Our front hall closet (which is more of a toy and extra storage closet since we don’t use our front door as a front door!) has been badly neglected for the entire time we’ve lived in this house. It became a place where I stuffed everything and anything that didn’t have a proper home and was in a constant state of chaos. Oh the embarrassment and shame when I had to open it in front of company! 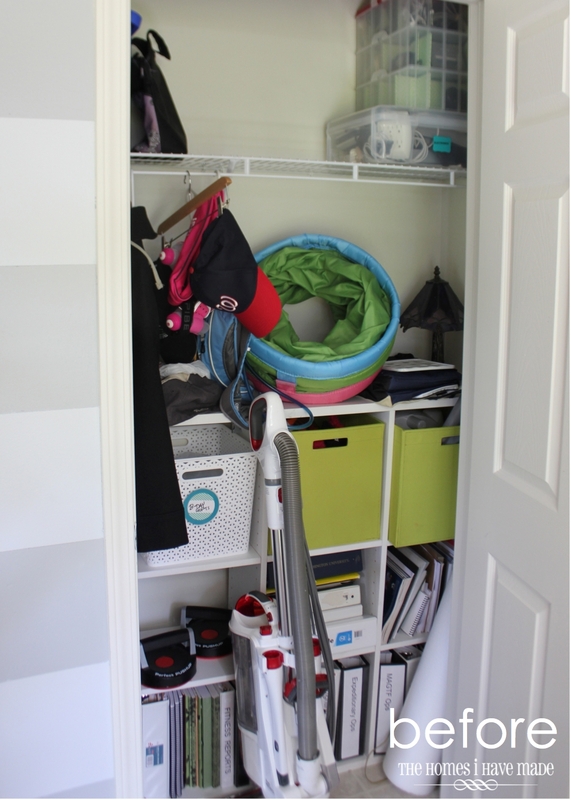 As you can imagine, I was super excited when ForRent.com asked me to do a closet organization project…as I had just the closet in much need of some major TLC! 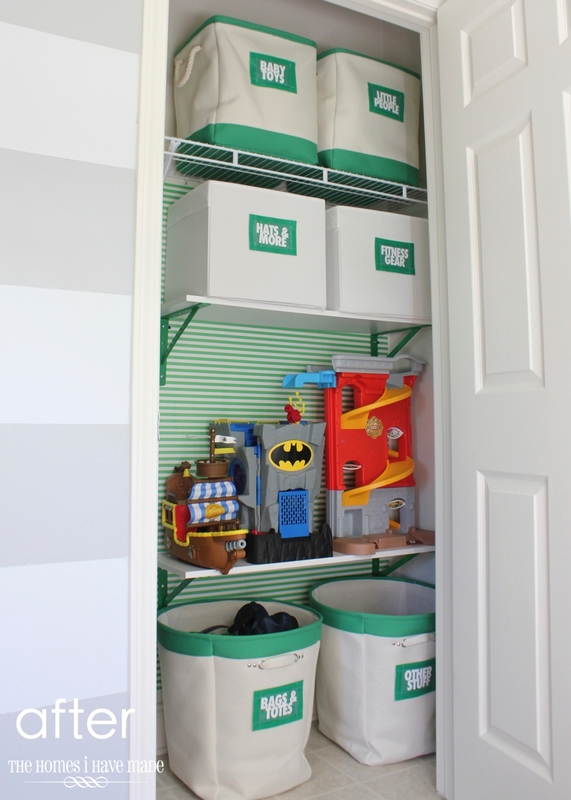 After a few days of cleaning out and some small DIY projects, take a look at our front closet now!!! You’ll have to head over HERE to get all the makeover and organization details. 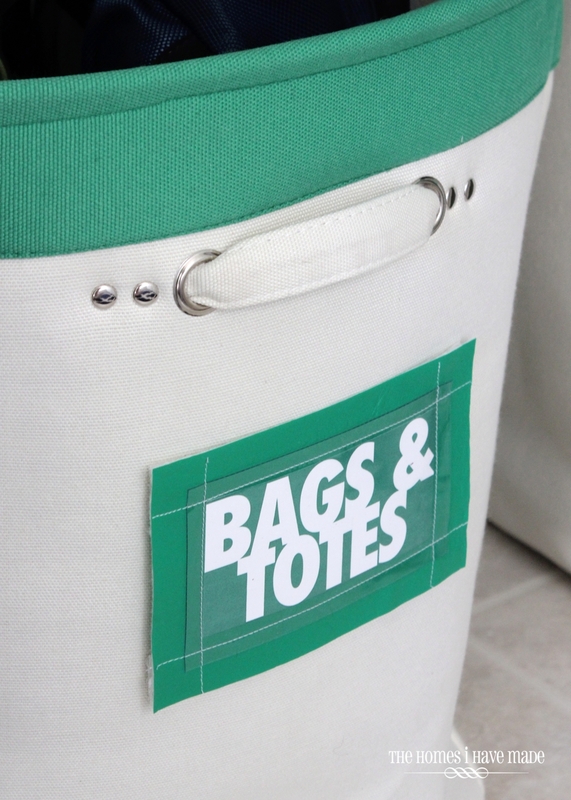 I am soooooo smitten with this mini makeover, and I think you all will love the simple little projects I did to pull the space together (including my DIY labels seen below!). As I always, I really appreciate you taking an extra second to click over to an external site to get all the details of this project. Remember, this project will never be featured here on THIHM, so head over to THIS link to get all the details! Hope you’re having a great week. I’ll be back with that Master Bedroom update later this week (hopefully! ).